A new Avengers: Infinity War toy has revealed the best look at Thor's new hammer as it will appear in the Marvel Studios ensemble flick. Though the hammer is not Mjolnir, it does boast a hefty duel-threat of being both a hammer and an axe. It was first revealed in the form of concept art in a video celebrating the production kickoff of Avengers: Infinity War and its sequel. The hammer is called Stormbreaker. Check out photos of the new toy in the tweet below. Thor's new hammer is not the only prop from Avengers: Infinity War to be revealed in toy form. On Wednesday, the world got its first look at Thanos in full armor for the first time and prior to that Captain America's new shield was revealed before appearing the trailer which played during the Super Bowl. The Avengers: Infinity War LEGO sets may have also contained a few major reveals in their box art, including the locations of several Infinity Stones, if the sets hold accuracy to the film's narrative. 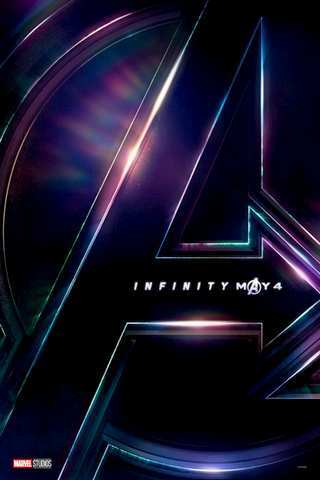 Avengers: Infinity War aims to bring together every corner of the Marvel Cinematic Universe, with a connection between the Avengers characters and the Guardians of the Galaxy finally having been revealed in the film's first trailer. With Thanos attempting to assemble the Infinity Stones, the synopsis' tease of the "deadliest showdown" could wreak havoc on characters from all ends of the Marvel Cinematic Universe's spectrum. Other upcoming Marvel Cinematic Universe movies include; Black Panther on February 16th, followed by Avengers: Infinity War on May 4th and Ant-Man and The Wasp on July 6, 2018. Captain Marvel arrives on March 8, 2019, the fourth Avengers movie on May 3, 2019, the sequel to Spider-Man: Homecoming on July 5, 2019, and Guardians of the Galaxy Vol. 3 in 2020.